The original mission and purpose of this site was to defend Hillary from bashing. It has expanded itself in a natural way to cite other abuses, mostly against women. Our Homegirl’s recent trip to Mexico, however, revived the need to upgrade our vigilance once again for abuses aimed specifically toward her and toward those associated with her. Two online publications this weekend and the comments about them illustrate the fact that we cannot let the guard down on this behavior from the MSM nor from established online news sources. First there was the dust-up around Hillary’s visit to the Basilica of Our Lady of Guadalupe. This visit was not on Hillary’s original itinerary for the trip to Mexico. The visit took place early in the morning. Hillary arrived at the Basilica at 8:15 a.m. and was received enthusiastically by the Rector, Monsignor Diego Monroy. She was there for about 30 minutes during which she examined the tilma (cloak) worn by Juan Diego when the Virgin appeared to him and which later was found to bear her image miraculously imprinted upon it. The cloak, encased in glass and framed, usually hangs above the altar of the Basilica. For Hillary’s visit, it was lowered to floor level. She also lit a candle, as is Catholic custom, and she left a bouquet of white roses from us – the people of the United States whom she was representing there. Now a few points, Hillary, who is not Catholic, could easily have spent an extra 30 minutes in bed rather than fit this pilgrimage into what amounted to a very long day ending with a one-on-one interview with Greta Van Susteren. Lord knows she could have used the rest. I do not pretend to know what motivated her to go there, but as a Catholic I believe she was called there by the Virgin, who is the patron of all the Americas. Second, since she is not Catholic (and not expected to be familiar with Catholic practices) she was guided through the rituals by the clearly thrilled and kindly Monsignor. I was so touched and pleased with this sacrifice and gesture on her part that I posted the story on another blog which simply illustrates Hillary’s journey through the past several months, A Rose for Hillary. I thought this was so typical of Hillary’s thoughtfulness and willingness to go the extra mile, such a sweet thing for her to do, that I needed to record the lovely event. Lo and behold, yesterday Twitter was full of tweets remarking about Hillary’s inappropriate, some even said “stupid” (I put that in quotes because it is a word never to be associated with Hillary) question asked of Monsignor Monroy as recounted at The Catholic News Agency. Upon examining the image, she reportedly asked who painted it to which the Rector responded with the only answer we have: God. 1. Not being a Catholic, Hillary cannot reasonably be expected to know the story of the image. Many Catholics do not know this story. 2. She made this visit of her own volition and motivation and it was not convenient or planned. 3. It was a kind gesture on her part toward all Catholics, Latinos (who revere Guadalupe), and the Mexican people in particular. 4. If you see the image, it is easy to think it is painted somehow unless you know the story. So enough jumping all over Hillary for doing what many of us who are Catholic appreciated for what it was – a sweet and lovely gesture. Right on the heels of all these tweets about that issue followed a second barrage also associated with Hillary. As I mentioned, later that same day, Hillary appeared in an interview with Greta Van Susteren. Well evidently Greta angered the powers that prefer to see Hillary marginalized and left unpublicized by spending a segment of her show with Hills. Sure enough, the next day, HuffPo (I will not put their link here) let loose with a diatribe against Greta and her husband, John Coale who both donated to and advised Hillary and later Sarah Palin who has also received some spotlight time on Greta’s show. It becomes pretty clear what is going on here. No attention is supposed to be paid to serious women in government. If they do or say anything, it is to be vilified. And if a member of the Fourth Estate should dare to permit any objective and fair coverage, that member is also to be taken to task. That Greta has been even-handed in covering these women from two parties, an admirable journalistic tactic, receives no compliments because, you see, she is just SO wrong by providing women with a platform. So thank you Hillary for your sweet gesture. Thank you Greta for giving Sarah and Hillary some airtime (the only serious airtime Hillary has had since assuming this post), and shame on those who continue the bashings. ¡Basta! Enough! Homegirl Alert: Watch Your Language (change we can bereave in)! Today, I received this article in my noon headlines from none other than NBC News in New York. I just finished lunch and reading this made me sick in the pit of my stomach. Yes, I suppose I was hearing about this last night, but I was way too focused on seeing Hillary with Greta for it to sink in. Not only are the color codes gone, the history and legacy of 9/11/01 have been erased. This is “political correctness” taken to the most unacceptable and extreme limit. So now, I guess, we will be expected to monitor our language against the banned terminology. Other European languages have language regulators, typically academies, that govern usage. There is no academy governing English languages. Nature abhors a vacuum. Into the void slips the new administration with its dictum as to what we may and may not call a rose – or an attack, for that matter. Throughout her campaign, our Homegirl, Hillary Clinton, repeatedly requested that we hire her. We tried and were overruled. Now, it appears, the erstwhile “victor” actually believes he does rule us rather than understanding that he works for us (or is supposed to). To attempt to govern language usage in this way is a violation of the First Amendment and, therefore, unconstitutional. On the other hand, to assume the Oval Office without satisfying the demands of citizens for proof of eligibility, violates Article II. So I guess our Constitution is considered as outmoded and useless as the vigilance and scars of 9/11/01. What’s next? We re-rename Newark Liberty Airport Newark Tyranny Airport? Might as well, we’re being overtaxed without representation anyway. Here’s the article. If you begin heaving, move away from your keyboard. It looks like we can wake Green Day up: “September” has ended. And, lets not forget that the Obama administration no longer refers to opponents in the Conflict-Formerly-Known-As-The-War-On-Terror as “enemy combatants.” Haven’t quite figured out a proper replacement on that one. Now, this is real change — a seismic cultural shift that not too many people might have expected. The cumulative effect is clear:The symbolic, rhetorical and strategic signifiers of America’s post 9/11 world are being airbrushed away. Our girl Hillary was honored last night at The Kennedy Center for the Performing Arts by the organization Vital Voices Global Partnership. In a star-studded reception, the recipient of the Global Trailblazer Award, the Secretary of State, received a nearly two-minute standing ovation from the audience. We completely agree! Her 18,000,000 are all standing and applauding. We love to see our girl appreciated. Politics may divide, but women stick together. Four Dominican women from Salcedo, Dominican Republic. These women followed their convictions with bravery and selflessness to fight for what they believed. To fight against a dictator’s rule they felt was wrong. Three of them – Patricia, Minerva, and Maria Teresa – gave their lives for their cause. They were killed savagely by some henchmen following the Dictator Rafael Leónidas Trujillo orders. They were a threat to this commanding man because they were involved with trying to overthrow his cruel, ruthless and fascist government. The families first real run in with Trujillo was at a party to which they were invited. The family left early. Trujillo was angry about this so he had the father, Don Enrique arrested (no one was permitted to leave a party before Trujillo). Minerva and Doña Chea were also arrested the following day. Every day Minerva was taken to the Fortaleza Ozama and interrogated by two of Trujillo’s men. She refused to write a letter of apology to Trujillo. Since the family was well connected, they knew the right people. They got Trujillos brother, with whom they had acquaintance, to intercede for them and have the family members that were imprisoned released. They were again arrested a few years later and were always in fear of Trujillos men. This constant fear and stress led to Don Enrique, the girls’ father’s death on December 14, 1953. On November 25, 1960 Trujillo decided he had enough of the sisters’ trouble making and decided it was time to get rid of them. He sent his men to intercept the three women on their return home from visiting their husbands who were incarcerated. Trujillo had these men imprisoned in hopes that it would make the ladies shut up and stop their activities, which it did not. The sisters’ car was stopped. They were led into a sugarcane field. Here they were mercilessly beaten and strangled to death. Then their car was taken to a mountain known as La Cumbre, between Santiago and Puerto Plata, and thrown off. Trujillo thought he was finally free of “the problem”. But what happened was just the opposite of what he had hoped. The plan failed. The people of Dominican Republic, along with the Catholic church, were outraged. These ladies’ lives were cut short because of their convictions. Trujillo, with this action brought more attention to the rebellion. Instead of eliminating the overthrow of his dictatorship he brought its downfall. This contributed to his assassination in 1961, only six months later. 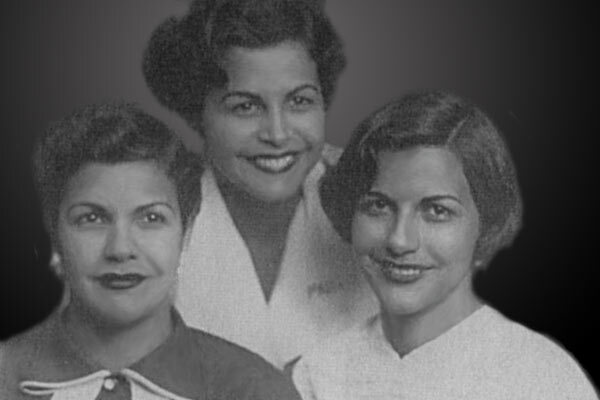 The story about the The Mirabal sisters, In the Time of the Butterflies, was made into a movie in 2001. Minerva Argentina (the second sister, was born on March 12, 1926) is the one that initially got involved with the underground movement to overthrow the government. While she was away at school she had friends whose families had been tortured by Trujillo’s men. With this her eyes were opened. She always a bit of a rebel and hated when someone or something was wronged. With her interest in politics (Minerva went to University in Santo Domingo which then was called Ciudad Trujillo) and her desire to study to become a lawyer, this was the perfect cause for her. She met the leader of the Popular Socialist Party and started her fight for freedom of the country. She married Manolo (Manuel Tavarez and had 2 children), who was also anti-Trujillo. Maria Teresa (the youngest sister, was born on October 15, 1936) was seeing Leandro Guzmán (they had 1 child) who was also involved in the anti-Trujillo movement. So they worked together for the over throw of Trujillo’s government. Patricia Mercedes (the eldest sister, was born on February 27, 1924). She was leaning towards being a nun when she met and married Pedro Gonzalez (they had 4 children). Dedé, her given name is Bélgica, was born February 29, 1925 (her birth was filed on March 1st so this is her legal birthday). She is the sister that was not with the rest of the sisters on that tragic day. She has since dedicated her life to preserving her sisters memory. She has 9 children, one of which is Jaime David Fernandez Mirabal. He served as the vice-president during Leonel Fernández’s first term as president between the years of 1996 and 2000. On December 17, 1999, the United Nations General Assembly designated November 25 (the anniversary of the day of the murder of the Mirabal sisters) as the annual date for the International Day for the Elimination of Violence Against Women in commemoration of the sisters. This day also marks the beginning of the 16 days of Activism against Gender Violence. The end of the 16 Days is December 10, International Human Rights Day. N.B. This entry has been edited here for clarity. I have not edited the wikipedia page, however. This was produced by a friend, miolesu, as an educational video for young girls in honor of Women’s History Month. She was kind enough to send it to me, and I thought this the most appropriate spot for it. I hope you find it enjoyable and instructive. On my birthday, February 12, two events shocked Buffalo, New York. One was immediately broadcast over Cable TV and the internet. I was in a chat room when the commuter jet crashed into a suburban home. While we chatted and exchanged information, my friends found and posted photos and even You Tube videos that were posted within minutes of having been taken. The other story took days longer to bleed out into the mainstream media. I watched and counted. The plane crash occurred late on a Thursday night. The other story did not begin to appear in mainstream broadcasting for four days. Tuesday, February 17, was the first time I heard that story reported on network and cable TV news. The second story concerns Muzzammil Hassan who founded an upstate New York TV station expressly for the purpose of countering stereotypes about Muslims. It seems Mr. Hassan murdered and beheaded his wife who had filed for divorce. We are not certain of the sequence of events. It is possible that Aasiya Hassan, stabbed multiple times with a hunting knife, was still alive when beheaded. Mr. Hassan has been charged with second degree murder. Yes, you read that correctly. The CNN account is here. The previous day, Wednesday February 11, in Flushing, Queens, also in NY, Afghan diplomat Mohammed Fagirad, holding his 22-year-old wife prisoner in their home, beat her mercilessly, “like a dog” (his words) for 15 hours. This NY Daily News account appeared on Valentine’s Day. Later the following week, while driving home, I heard a report of a man (also with an Arabic name) in Bergen County*, NJ where I work, who used an online bulletin board to advertise for someone to beat up and disfigure his wife so that no one else would want her. I was unable to find a written account of the story. The man unwittingly paid an undercover officer, who responded to the ad, and was promptly arrested. These three cases, coming so close together, put me on alert. We have heard the stories coming out of the UK. I even saw Geert Wilders on American TV late last week speaking of being prevented from entering the UK due to his opposition to Shariah Law. With cases like these arising, chances increase for leaders in the Islamic community to call for the establishment of Shariah family courts to replace our local and federal courts within Islamic enclaves. There is no way that this would be acceptable. The laws that we live by, our local town and city charters, our state constitutions, and the Constitution of the United States are the laws that apply to all who live within our various jurisdictions. For the rule of law to succeed, the law must apply equally and fairly to all. To apply a different set of laws to a special, internal community is to threaten the fabric and cohesion of the culture. It violates the social contract and cannot help but have a destructive effect on society. We do not have to imagine or speculate since both the Netherlands, where Wilders is an MP, and the UK, which refused his entry, stand out as European cultures of Judeo-Christian tradition that have permitted Shariah family courts to handle special cases. 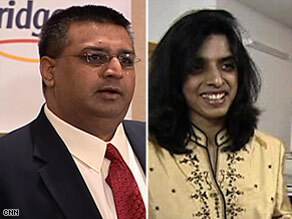 Those special cases would include extreme forms of discipline against wives and female children. I, personally, have not heard of a man brought into family court by a wife or daughter. If you have , please enlighten me. That, for me, is the slogan and the rallying cry for this country to stand strong against any preemptive attempt to establish laws and courts other than our own sovereign CIVIL system within our jurisdictions. *Yes, Bergen County is also where Betty Jean Kling’s daughters were when Louisa was shot.